West High in the Lead! Fantastic job, everybody – students, teachers, custodial/maintenance staff, and everyone else involved in the Green Energy Competition between West and Memorial! The competition started Tuesday and tomorrow (Friday) will be the last day. 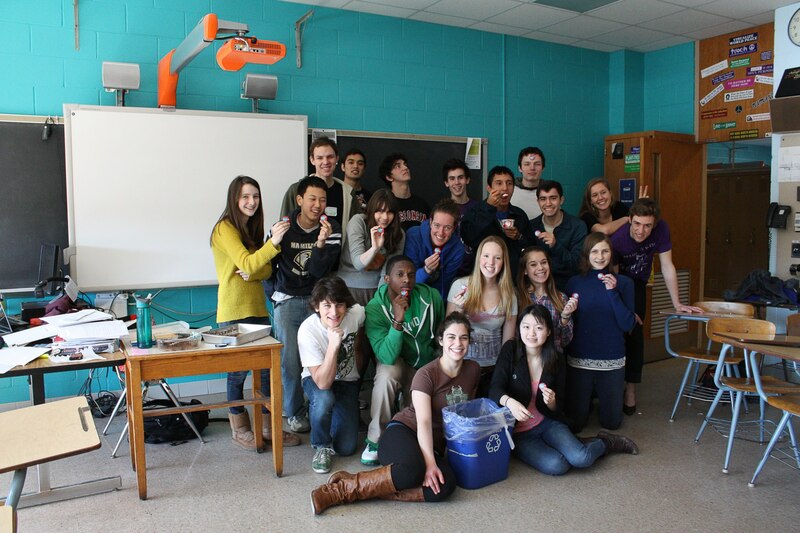 So far, we have collected nearly 400 pledges to help West conserve energy – way to go, Regents! Tomorrow will be the last day to pledge to conserve energy at West (and be green in general), so stop by the Ash Street entrance before school and during lunch to sign up! It’s really simple; all you need to do is pledge to, for example, turn off lights in all your classrooms or remind teachers to turn down their thermostats. You get a sticker and magnet just for pledging! On Tuesday, West consumed nearly 19% less energy (or 720 kilowatt-hours) than it did last year in February, while Memorial reduced their school’s energy consumption by about 6%. Yesterday, West remained in the lead with a 15% reduction in energy reduction (550 kilowatt-hours), and Memorial reduced theirs by 8%. And, overall, West remains in the lead with a 10% margin, so let’s continue our efforts and keep up the momentum, West! We are on our way to winning the Green Energy Competition, but Memorial’s catching up to us fast! Let’s make sure they don’t close in on our margin of victory! Categories: Green Energy Competition | Tags: energy conservation, energy consumption, green, green energy competition, i pledge to, jmm, Madison, Madison West Green Club, memorial, pledge drive, west, west high | Permalink.